Published October 13, 2016 at 630 × 582 in Raising the Interest and Reducing the Concern. The bike lane before the driveway was replaced with the turn lane, which is not great, but still usable. 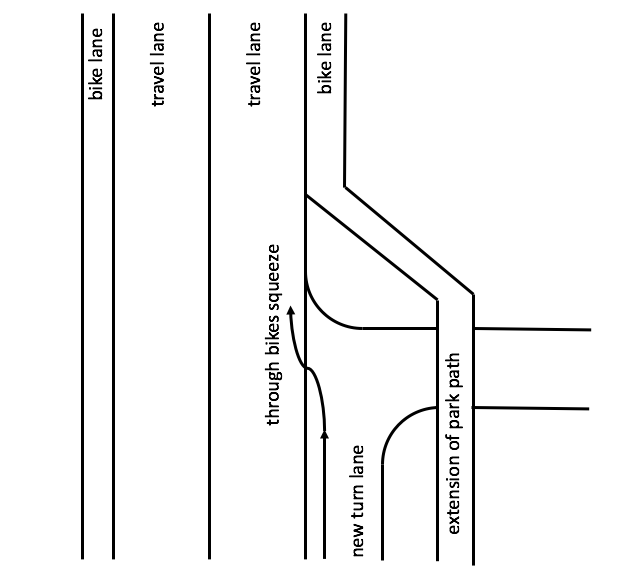 However, the bike lane after the turn was replaced with a concrete curb and only resumes after the park path exits onto the road. Virtually all cyclists will be going through on the road and will be sqeezed at the curb. A very dangerous situation for a cyclist.